In 2009 Honda’s popular Fit sub-compact went into its second generation and got a bit of a re-design. Nothing major, however, and one year later, it was pretty much business as usual. 2010 was also the year that total worldwide sales of the Fit (also known as the Jazz in other markets) exceeded some 3.5 million units. Clearly, Honda was doing something right. 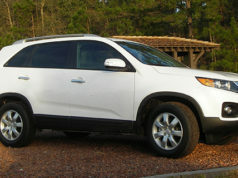 Three trim levels were available in 2010: DX, LX, and Sport, and although they were pretty much the same vehicle, the Sport featured tuned suspension that gave it a stiffer ride. Yes, it handled the corners better, but it was at the expense of comfort and tended to magnify every bump and dimple in the road. Power for all models was supplied by a 1.5 litre four cylinder that put out 117 horsepower and 106 foot-pounds of torque. This was up a little over the first generation, and it featured drive-by-wire throttle, variable valve timing, and a single overhead camshaft. Not the most powerful engine in the “small car” category, the engine was lively, refined, smooth, and useable. A little loud on the highway, perhaps, but nothing onerous. There were two transmission choices: Five speed manual and five-speed automatic. The Sport featured Honda’s sequential Sportshift manual shift feature, and, should you choose, you could go through the gears via steering wheel-mounted paddles. The five-speed manual version was equally civilized and driver-friendly. Arguably one of the smoothest in the industry. Fuel economy was and still is exemplary. With the automatic, the Fit delivered 7.1 L/100 km in town and 5.5 L/100 km on the highway. Fold the back seats down and almost 1200 litres of cargo space was revealed. One of the things that accounted for the Fit’s popularity was its deceptive roominess. With a little effort, you could get most of a bicycle into the back and, theoretically, it’d carry five adults. The base DX model offered amenities such as air conditioning, power windows, tilt steering, cruise control, and power door locks, and you could also get fog lights, a navi system, MP3 player, keyless entry, upgraded stereo and so on. Safety equipment includes front, side, and side curtain airbags, and brakes were front disc/rear drum with ABS and electronic brake distribution. You could also order a traction control system and electronic stability control. This last feature became standard issue in 2011. Transport Canada has one recall, and it applies to both 2009 and 2010 models. Apparently, the variable valve timing system could fail, which would result in loss of power and inability to re-start the car. Dealers will replace the defective components. NHTSA has this recall on file as well, along with four technical service bulletins for the 2010 Fit. These include possibly loose seat mounting bolt which could rattle on rough road surfaces and a “request for information” on the rear seat belt buckles. Some complaints from owners: “the car’s steering is extremely over-responsive but unfortunately not speed-sensitive”, “I was sitting in the parked car listening to the radio before work when I saw a foot long crack form half way up the right edge of the windshield”, and “front driver seat rocks while making sharp turns”. Consumer Reports likes this one….a lot. It gets this organization’s “Good Bet” seal of approval, and top marks in every single category. The only possible areas of concern are “squeaks and rattles”, body hardware and the climate control system. In these cases, it receives “better than average” marks as opposed to “much better than average”. Notes C.R: “we expect reliability of new models will be 68 per cent above average. Some comments from owners: “visibility shortcomings make it difficult for short people”, “ride is noisy and a bit rough”, and “more cup-holders than the back of a church pew”. Marketing researcher, J.D. Power, meanwhile, gives this iteration of the Fit a “among the best” grade for overall performance and design, and “about average” grades for overall quality and dependability. 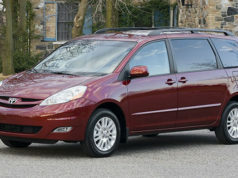 The 2010 Fit, notes J.D. Power, received a top five-star rating for frontal impact and is one of the Insurance Institute for Highway Safety’s “Top Safety Picks”. No surprise then that it’s held its value well. From a base price of about $14,500 in 2010, it’s valued at between $8000 to $13,000, depending upon the model and trim level. The top of the line Sport seems to fetch about $2000 – $2500 more than the base DX. Horsepower/Torque: 117 hp / 106 ft. lb. Fuel Economy (litres/100 km): 7.1 city/5.5 hwy. (automatic trans). Regular gas. 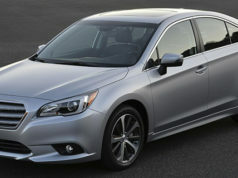 Alternatives: Toyota Yaris, Chevrolet Aveo, VW City Golf, Hyundai Accent, Mazda3, Nissan Versa, Kia Rio, Suzuki Swift.